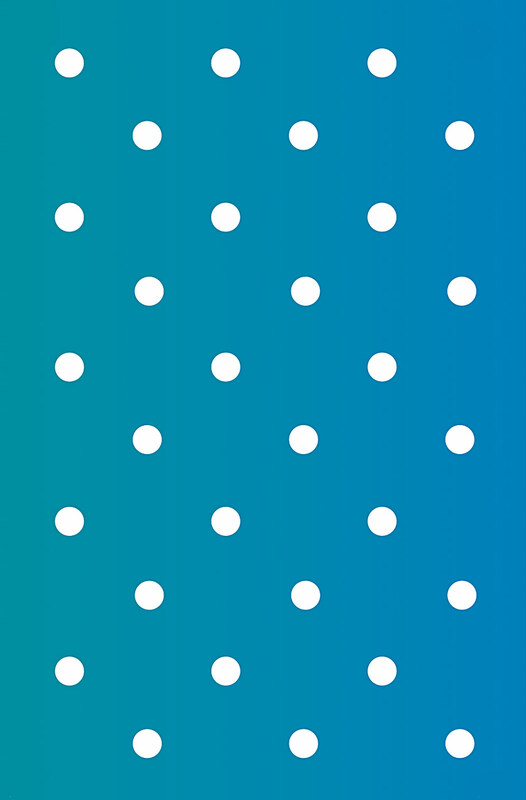 The Small Polka Dot Theme Pack Stencil contains 2 sheets of small dots in a polka dot repeat – one sheet with 1.2cm (1/2″) diameter dots and one sheet with 2.6cm (1″) diameter dots. See size and layout specifications below. 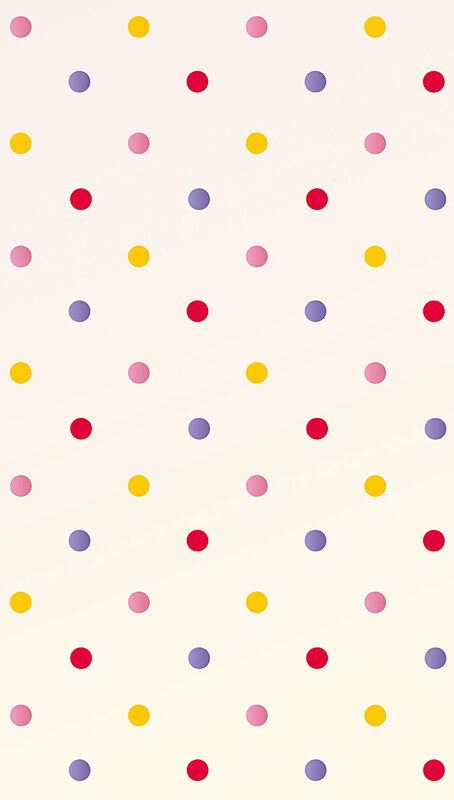 This is a simple and versatile theme pack giving great decorating options for adding your own polka dot creations to walls, fabrics, accessories and furniture – in two different sized dots. Polka dots are fun, funky, as well as stylish and classic – a timeless design that responds well to modern, retro and classic colour treatments. 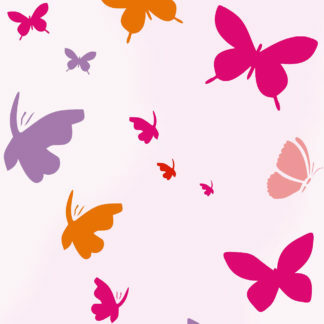 Stencil in bright colours, muted or pastel colours, or simple single colour application such as white on coloured backgrounds. 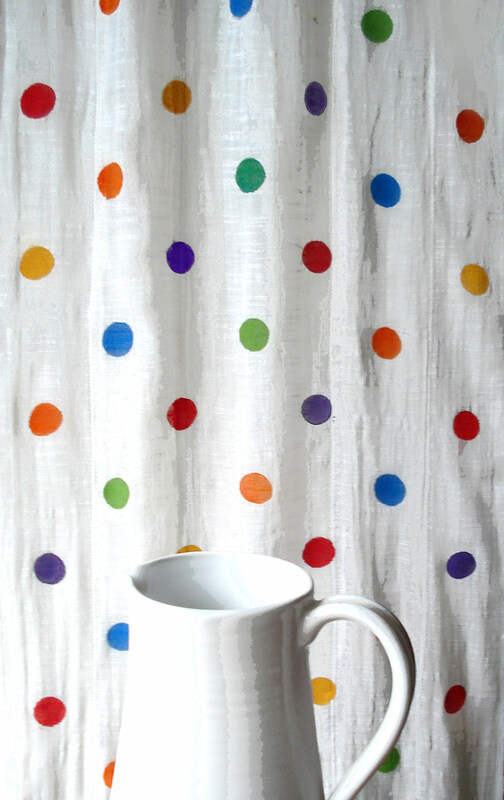 Above top – the 1″ sheet of the Small Polka Dot Theme Pack stencilled on white linen in Motif Fabric Paints. 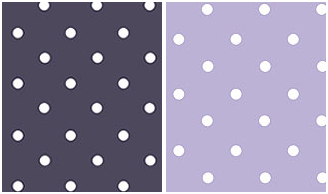 Above – 1″ Polka Dots in Ice White on a navy background (left) and lilac background (right). 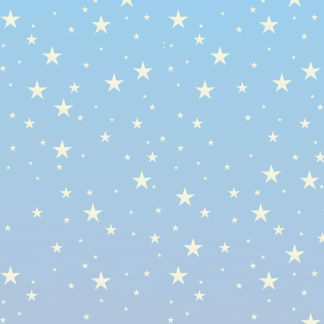 Above the 1” dots of the Small Polka Dot Theme Pack Stencil in Ice White on a luminous turquoise background. 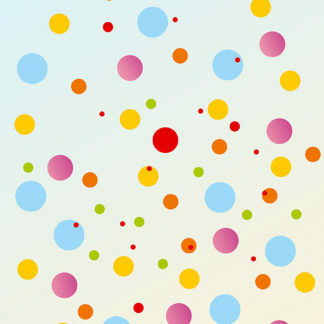 See also our Large Polka Dot repeat stencil – for large, funky polka dot designs or our Circles Theme Pack – six different sized stencils for creating modern random circluar patterns. Above – the 1” dots of this theme pack shown in the colour sequence of Damask Rose, Harvest Gold, French Lavender and Very Berry Stencil Paints. 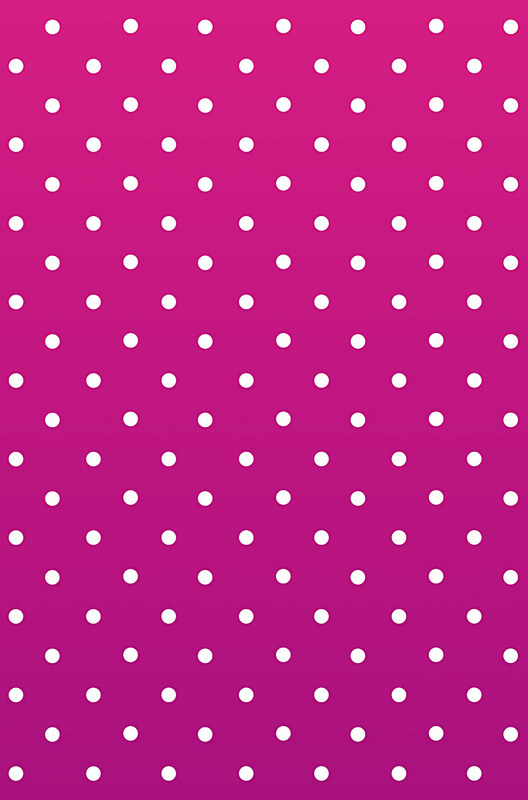 Above – the 1/2” dots of the Small Polka Dot Theme Pack Stencil in Ice White on a rich cerise coloured background. 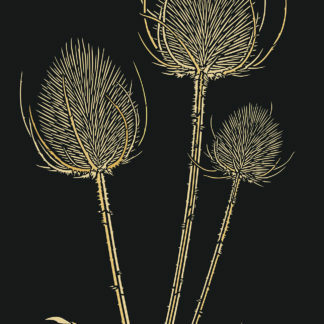 Above left – 1/2″ Polka Dots in Damask Rose, Very Berry, Indian Purple, Harvest Gold, Seville Orange and Ash Green Stencil Paints on a white background (this example shows a six colour sequence). 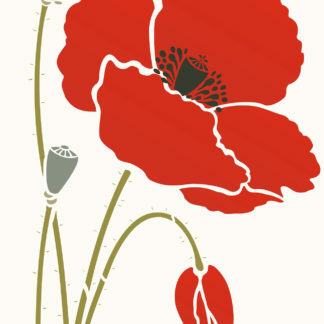 Above right- 1/2″ Polka Dots in Orchid, Spearmint, Chinoiserie and Evening Primrose on a white background (this example shows a four colour sequence). This easy to use repeat stencil theme pack comes in two different sheets. Sheet 1 – 1.2cm (1/2″) diameter dots placed 5.6cm (2 1/4″) apart. 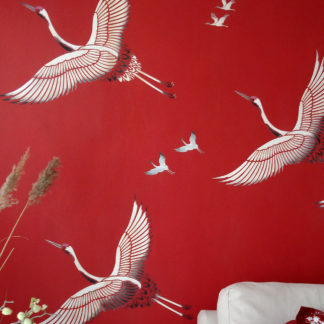 Sheet size 35.5cm (14″) wide x 44.5cm (17 1/2″). The width of each repeat is approx 26cm (10 1/4″) by a depth of approx 40cm (15 3/4″). 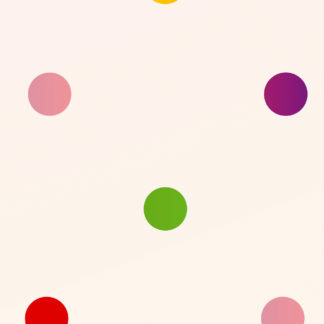 Sheet 2 – 2.6cm (1″) diameter dots placed 10.5cm (just over 4″) apart. 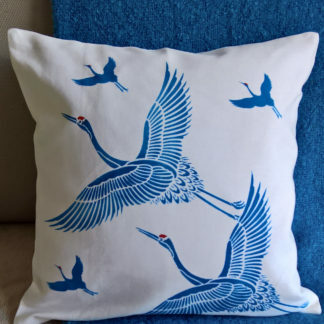 Sheet size 44.5cm (17 1/2″) x 72cm (28 1/4″). The width of each repeat is approx 36cm (14 1/4″) by a depth of approx 62cm (24 1/2″). Alignment – Both repeat stencils are easy to align with four useful registration dots in each corner – and the pack comes with full usage instructions. 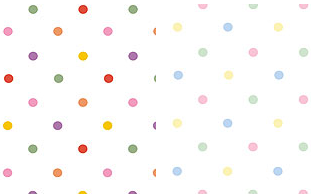 An A4 Polka Dot Planner is included with this stencil to help plan out your colour sequence.